Everyone who knew Mark Vincent Walton knew he was the type of person who would sacrifice himself for others. The country’s latest murder victim was today described as a kind, caring, loving individual who thought that people with children had more value than himself and, as a result, would “jump in front of a bullet for any of them”. That was the way he lived for 23 years and last night that was the way he died. 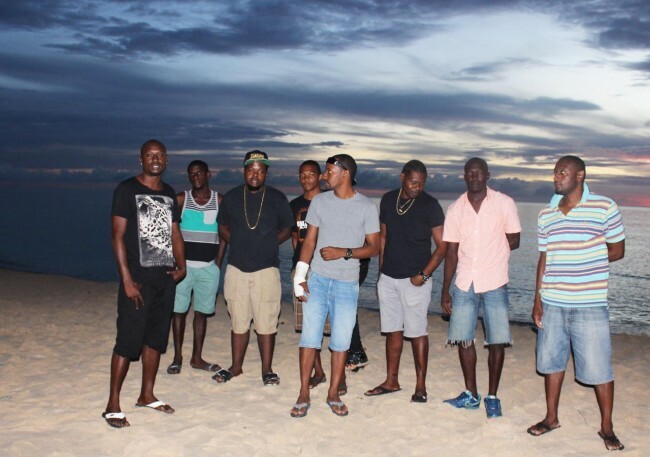 Walton’s relatives recalled that he was sitting in the verandah of his Fitts Village, St James home when he heard screams coming from a bus stop, just metres away. Friends of Mark Walton gather on the beach to reminisce. Speaking to Barbados TODAY this evening from the same verandah, his adopted aunt Sherry Scantlebury fought back tears as she recounted that, without hesitation, the youngster went to the area to lend his assistance. Scantlebury, who was inside the house at the time, explained that since Walton knew one of his friends was waiting for a bus he went to see what was happening. “I don’t know exactly what transpired but two fellows were over at the bus stop and one had a gun to his friend’s face and he went out there to help him,” she said as the tears flowed down her cheeks. It was then that Watson was reportedly shot four times about his body. “He never got into any trouble. Everybody that you talk to will tell you the same thing. He didn’t deserve to die like this. He lived with us and he would always pull his weight, helped with chores, he was a true young gentleman,” Scantlebury said. Her husband, Anderson, added that the former Ellerslie Secondary School student loved reading, the beach, and children – though he didn’t have any. Walton, who was originally from Prospect, also in St James, went to live with the Scantleburys about two years ago. He worked as a Jet Ski operator for two years on the beach in Fitts Village, opposite his home. This evening several friends gathered on the beach, reminiscing about the young man. Very sad. Our condolences to his family. May he rest in peace. he was the sweetes person in the worldddddddd and i mean in the entire worldddd i love you and will miss you mark!